We are excited to share that we have recently introduced a fantastic staff volunteer program with our friends at Second Chance Animal Rescue. 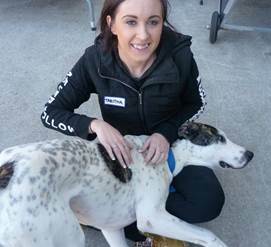 This is a great opportunity to have a positive impact on the lives of animals in rescue programs and shelters across Victoria. 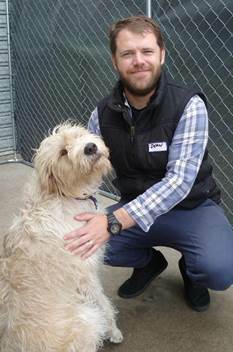 Each week, team members from Jetpets will spend the day at Second Chance Animal Rescue. We look forward to bringing you regular updates on their adventures and to tell you a little more about the adorable rescue pets they meet, so be sure to check follow our Facebook page for the latest news! Dean from our Melbourne office fills us in on week one of the program. “Friday was our first session at Second Chance Animal Rescue and we had an amazing morning with some incredible animals. We met with, played with, walked and worked on enrichment with Shadow, Heidi and Trooper. We learnt of the hardship and the individual struggles of each of the dogs that we met, it really hit home and brought life to the dogs knowing their stories. 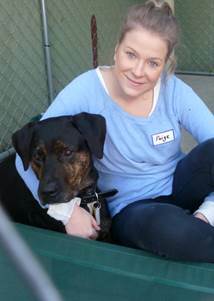 Paige spent some time with Shadow, a Rottweiler X Staffy who was 5 years old and just wanted company. Shadow suffered from separation anxiety and became highly destructive when left alone, and was surrendered after destroying the previous owners’ home. With company he was completely calm, kind and docile enjoying every minute of his time with Paige. Tabitha fell in love with Trooper a Great Dane x Bull Arab, boisterous and playful with a lovely temperament, he was happy to drop in your lap somehow unaware of his size. Trooper, an escape artist, was nicknamed Houdini by staff and unfortunately with no microchip or collar Trooper could not be returned to his owner. Tabitha is currently looking into potentially rescuing Trooper and is in discussions and negotiations with her partner. I hung out with Heidi. She was incredibly scruffy and loved rolling around in the grass on our long walk, revelling in the freedom of being outside she was gentle and good company. Her story was an unfortunate one. The owner had purchased 2 dogs, a male and female and when they reached maturity they started to fight, so one of the two dogs had to be surrendered and unfortunately that was Heidi. I though “how could anyone choose?” At the same time I had a really good feeling that someone else would find a friend in Heidi. Aside from the struggle and the sadness we saw firsthand the success as we watched a happy couple take a cat home. The new owners of Milo telling us “we just could not be any happier today.” A fairy-tale ending and the start of Milo’s new life with people that would love and take care of him. We hear the term “pet loving” a bit here at Jetpets and yes we all love our pets at home and those we work with, but working with the rescue pets today made all 3 of us feel like for that short time, we had a positive impact on the pets we worked with.